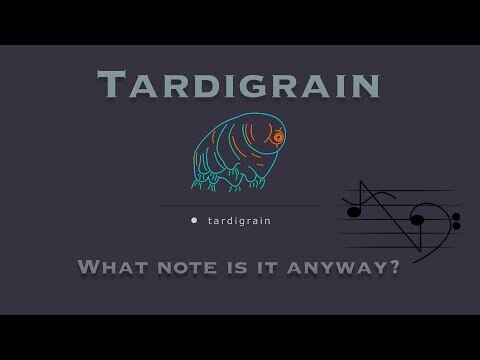 I'm loosing my sanity regarding the 'loop' function in Tardigrain, Maybe it's buggy? When using the loop tool the start&end markers both just get a 0.0s time indication?! Yeah, same here. I can't work that one out at all. I thought it was similar to the way the OP1 sets a loop point, but it doesn't seem to work that way. I’m on the fence on this app. Its dope, and sounds hella sick, but I’m struggling with a few things. How does It know the key of the sample, also how do I know what key I’m playing? @skulptur_sound @Halftone I’ve got you guys covered. Working on a video. It’s pretty simple once you understand. Great - looking forward to it. What I most wanna know is - if I import a sample in key of Bminor - what. Happens? How does it get the key. Nice demo, like your little intro graphic thing also, did you animate that yourself? Great! Thank you, will keep a look out. @RedSkyLullaby Thanks. I did make the intro. It was fun and I learned a lot about Motion 5. @skulptur_sound @Halftone I'll just leave this right here for ya. Let me know if it helps.